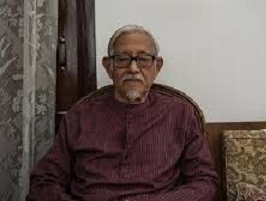 Dr Gohain further said that since the Muslims married very early (16-17 years), and they had very poor knowledge of birth control and family planning, so the number of Muslims rose almost 100 per cent more than the Assamese Hindus over a period of 30 years. He feels that right now in Assam, the danger is from Hindu rightist forces who want to encourage Bangladeshi Hindus to come to Assam, settle down here and in their own words “save Assam from the Muslim menace”. “BJP’s idea of citizenship is like that of Israel. As in Israel, every Jew, wherever he is born, is considered entitled to citizenship. To call all Hindus entitled to citizenship of India en bloc, that, of course, is against the Constitution in spirit and letter. Every Indian should oppose it because this sort of opens the floodgates for a very bigoted kind of passion, which will play havoc to the social fabric of India and our civilisation,” affirmed the academician.